Drumroll please. . . for the first time, I have actually planted a fall garden! Last year I worked out the schedule, but never actually got around to planting. Often it’s so hot that the last thing I feel like doing is sweating in the garden, and by now I’m usually elbow-deep in salsa. Well, a delayed harvest and spontaneous motivation combined to give me the time and energy for fall planting. Honestly, I didn’t plan ahead. 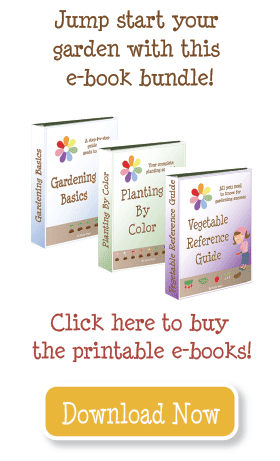 I got my list of veggies to plant from my Fall Planting Schedule, (mostly semi-hardy and hardy veggies), pulled out my seeds, and with a few glances at my companion planting chart, I planted seeds in the ground. I did write down what I planted where, and then transferred it to the computer. 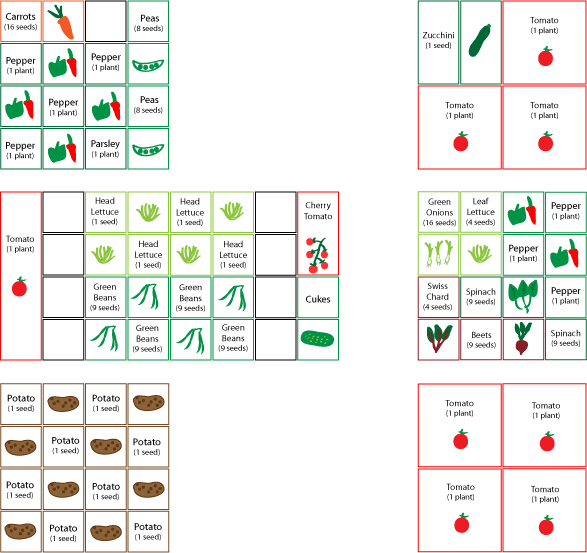 I left the existing veggies that are growing (peppers, carrots, tomatoes, zucchini), and just filled in most of the squares with onions, lettuce, spinach, chard, beets, beans, and peas. I tried to put all my greens (chard, green onion, lettuce, and spinach) in one garden bed–I’m hoping to come up with some kind of cold-frame/row cover to extend my season even longer. I planted the head lettuce and green beans in a separate garden bed–first because I ran out of room, and second because the green beans won’t live past the frost (they are tender) and I don’t really expect the head lettuce to work. It tends to require consistent temperatures and moisture, and I don’t feel like the weather is that predictable. But I had some seeds, so I figured I’d give it a shot! If you’d like to post your Fall Garden plans, follow the instructions found at this link. The weather is holding. . . Swimming in Greens – Recipes Please! THANK YOU, THANK YOU, THANK YOU…..so. I was getting ready to do this next week! YOU ROCK!